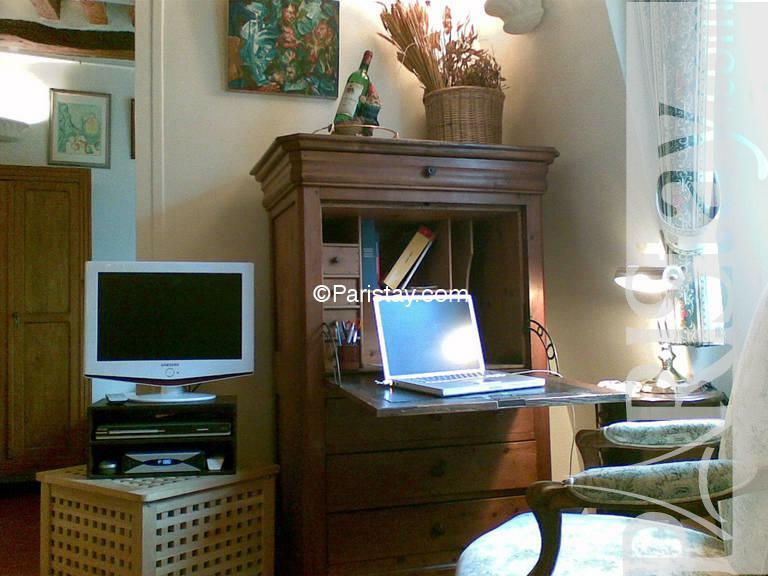 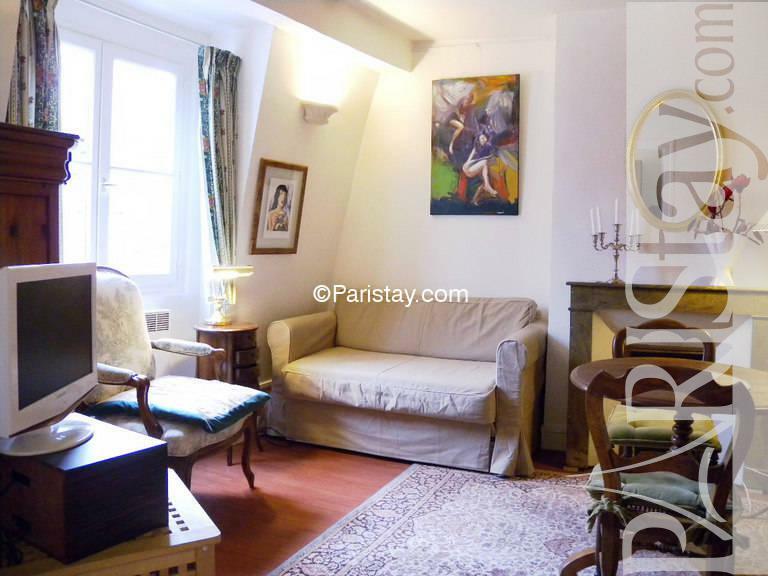 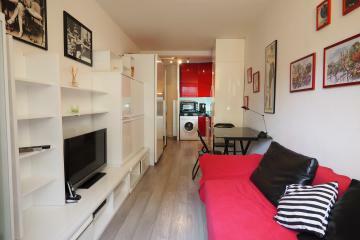 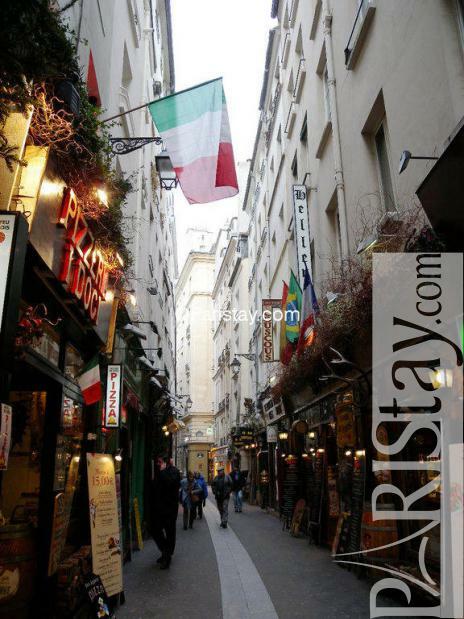 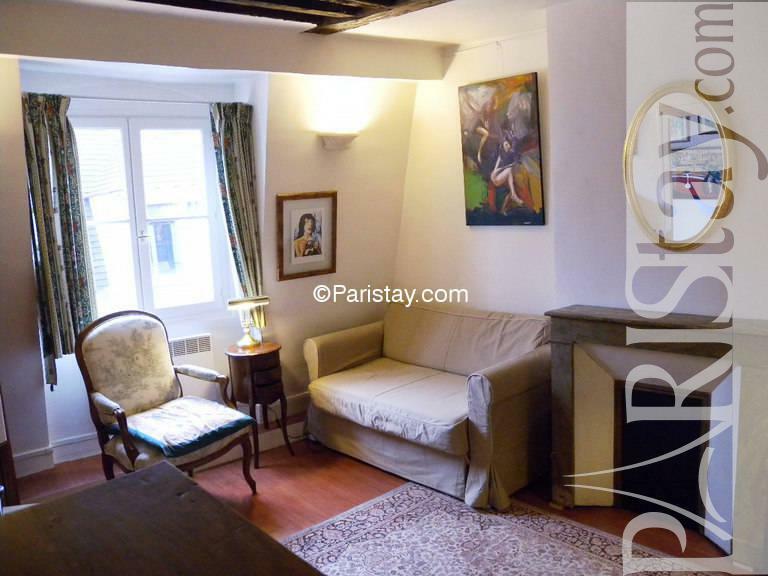 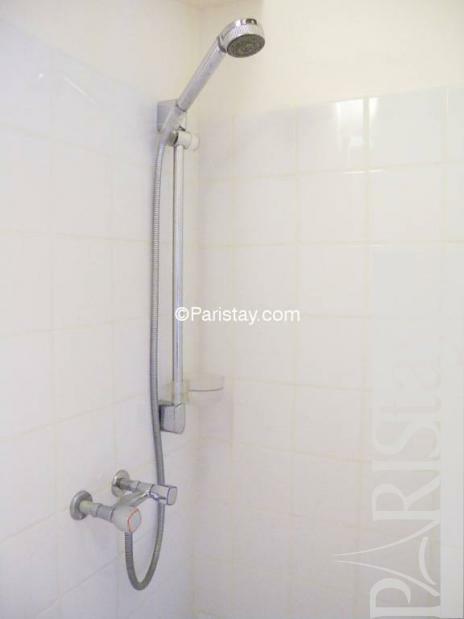 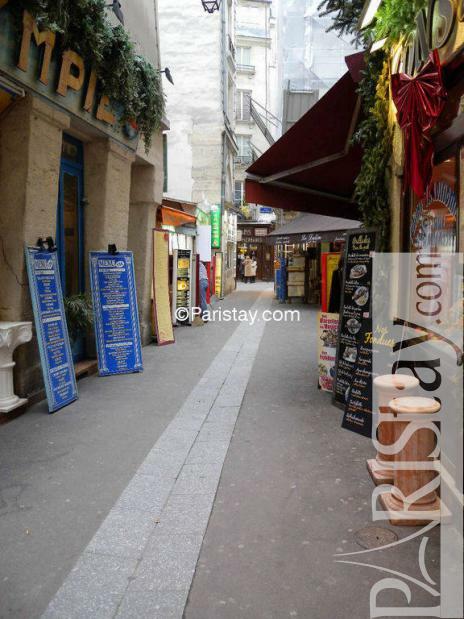 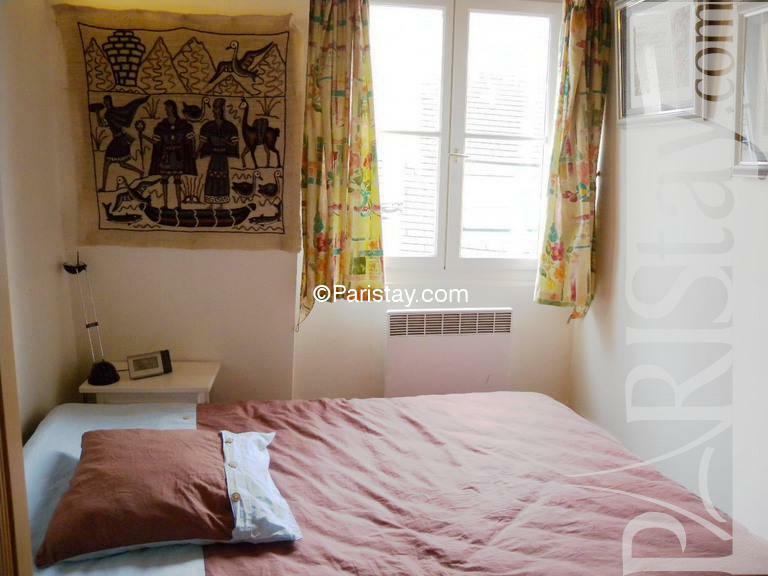 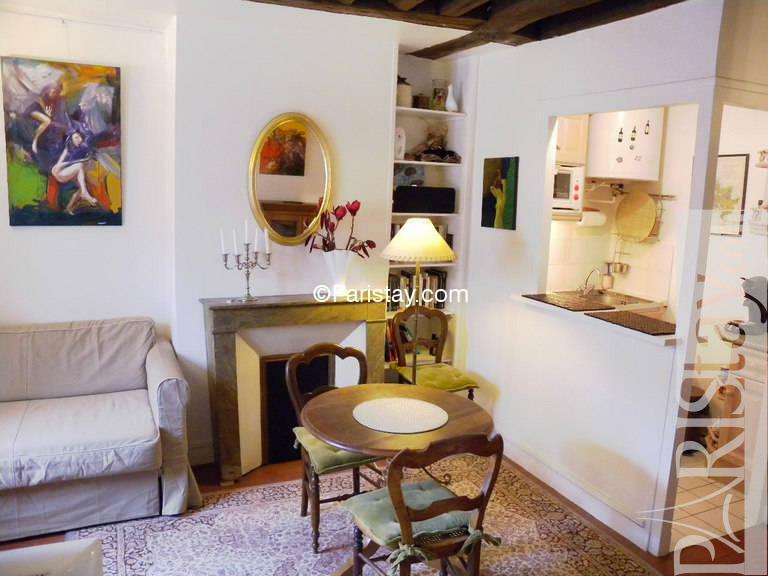 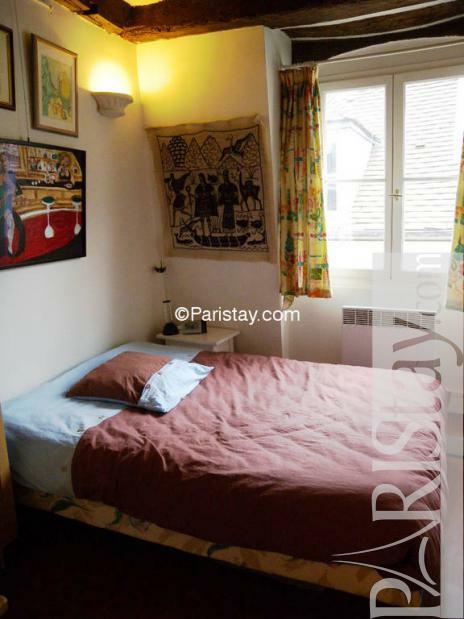 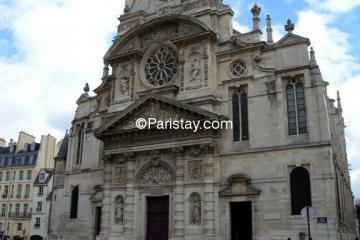 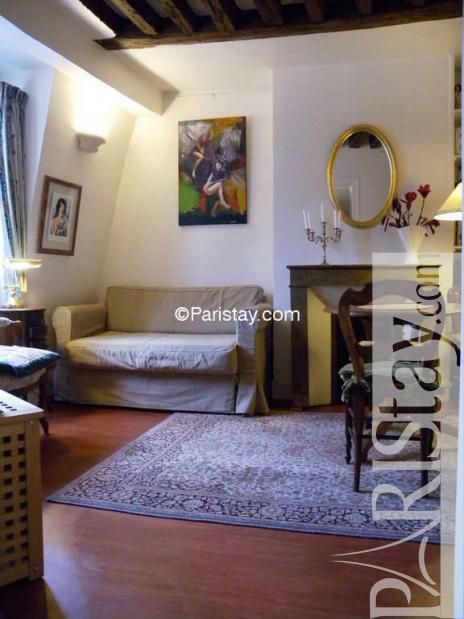 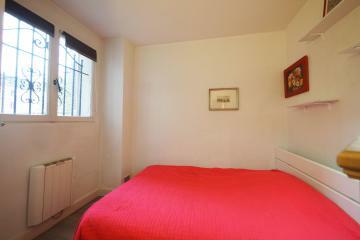 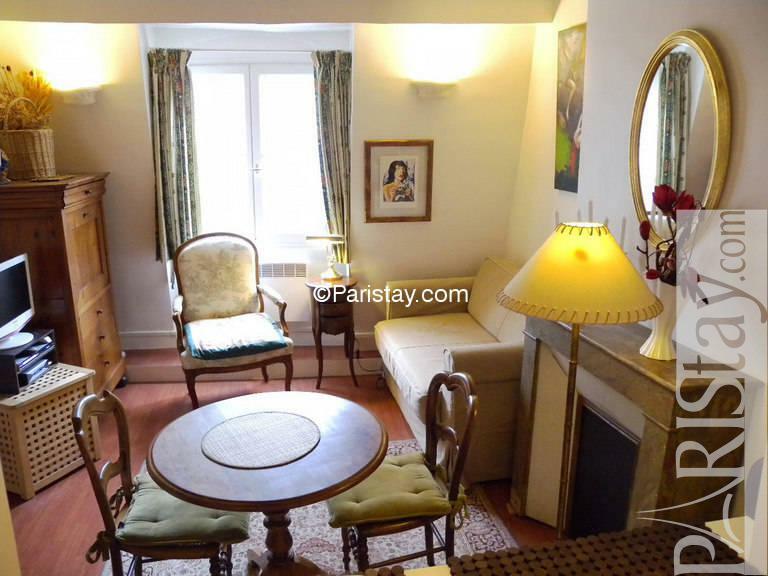 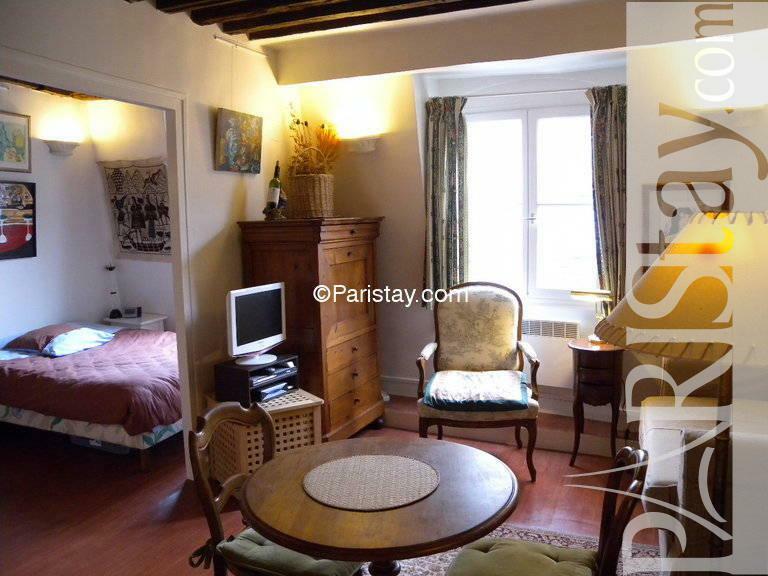 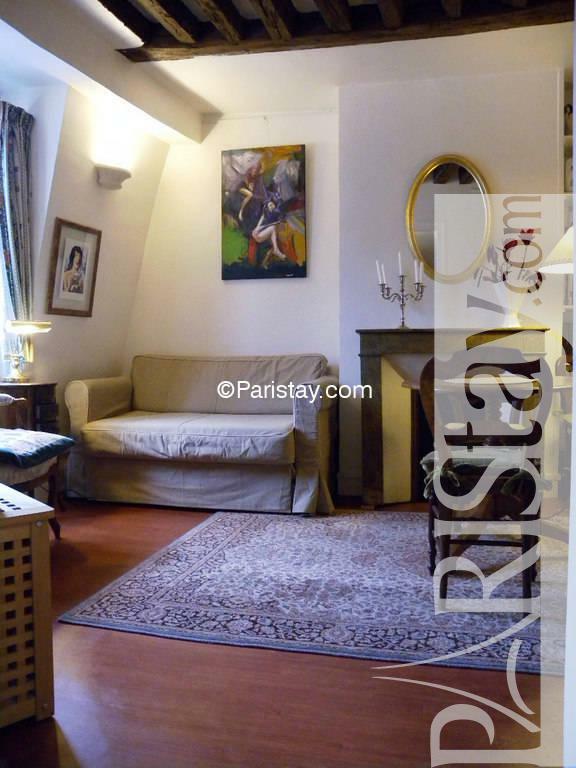 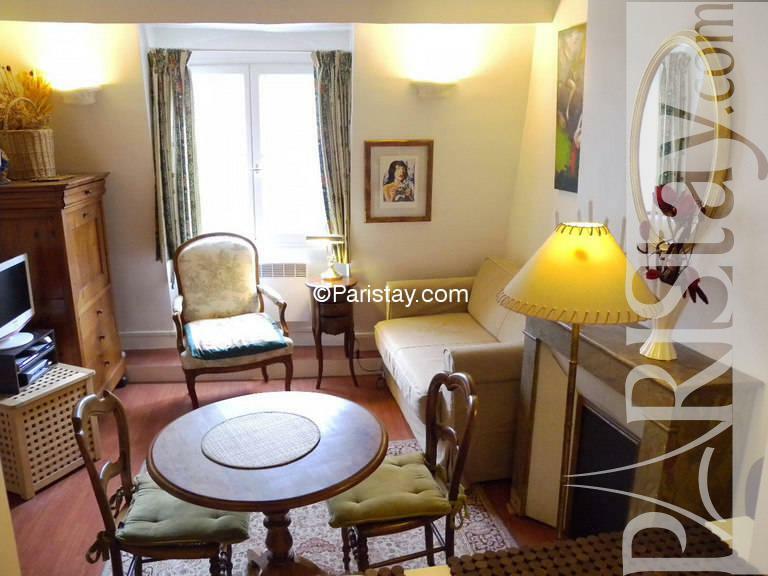 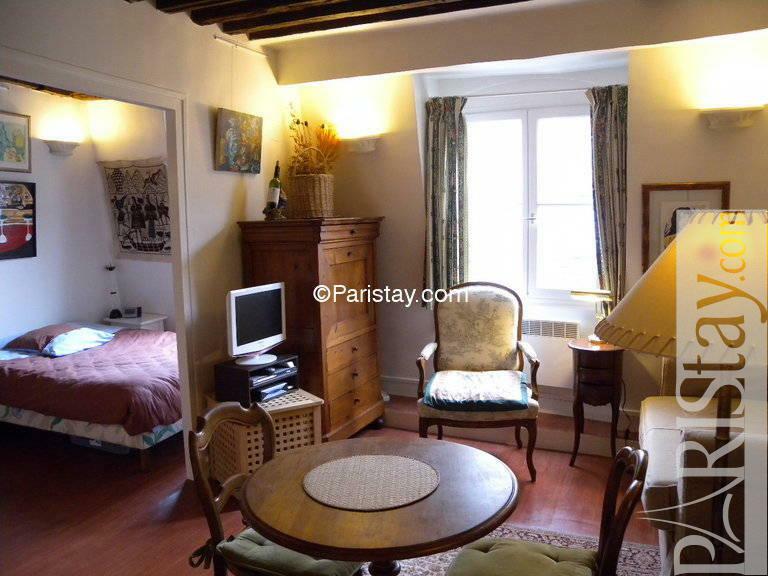 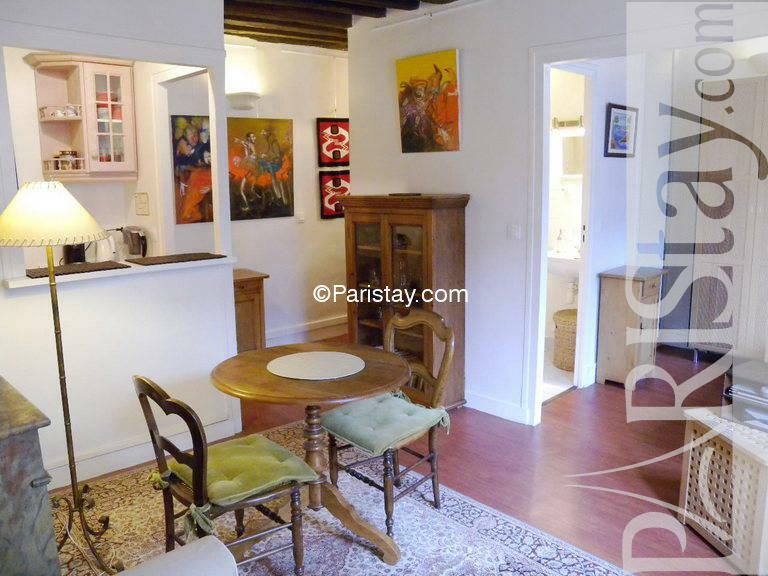 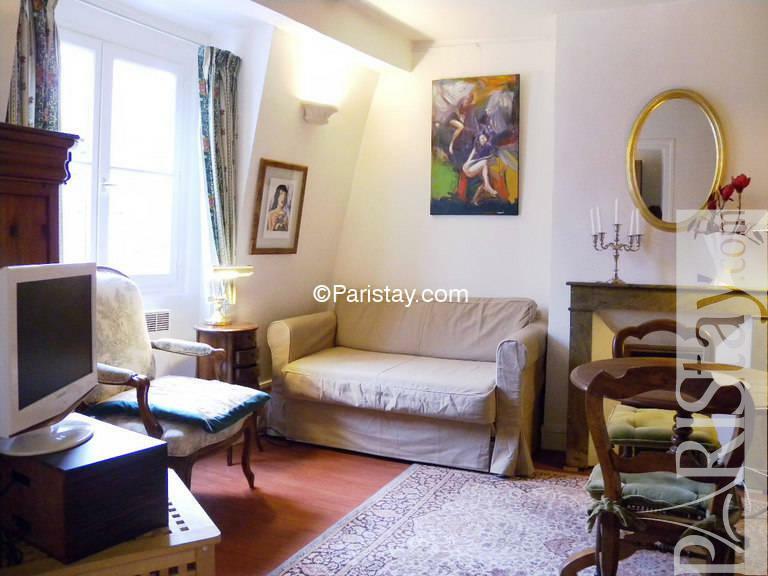 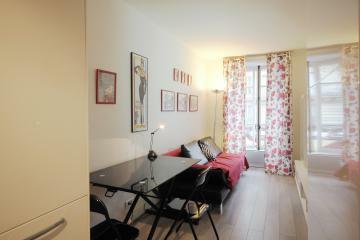 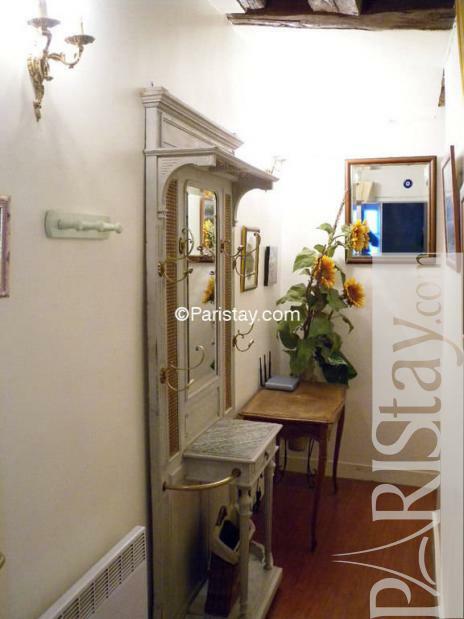 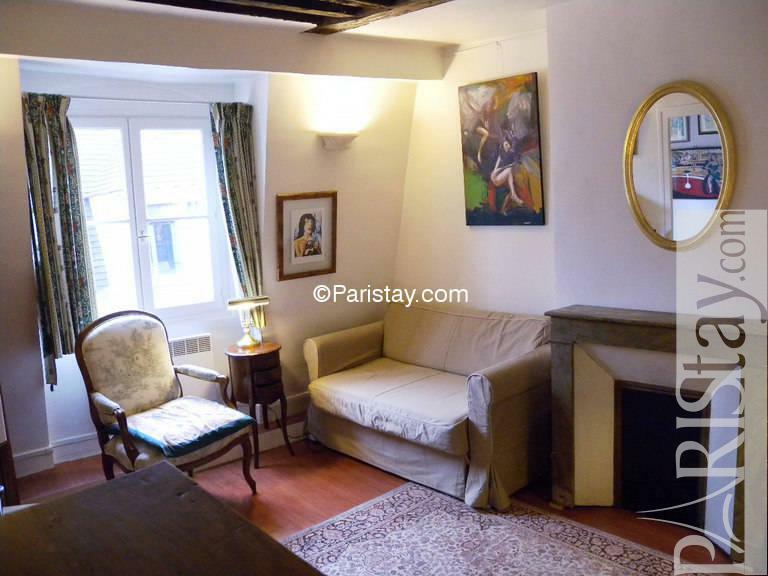 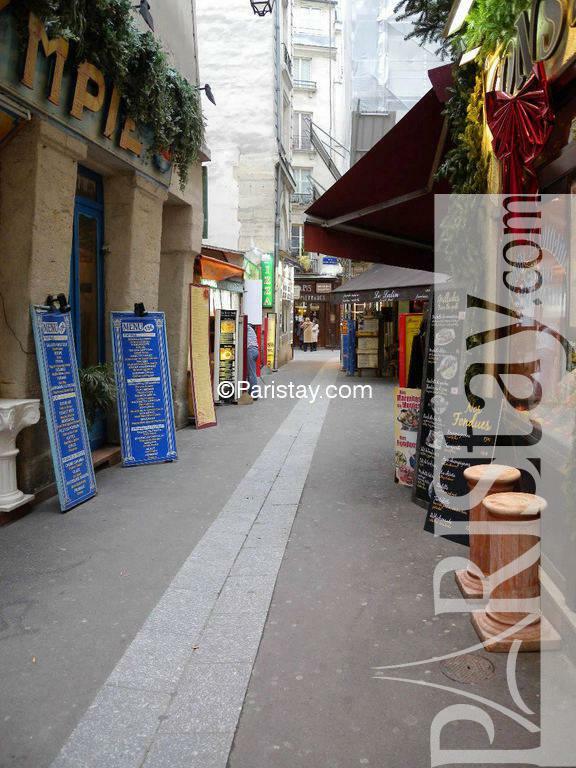 Cozy one bedroom apartment ideally located near Notre Dame de Paris on the left bank, steps away from the Seine River. 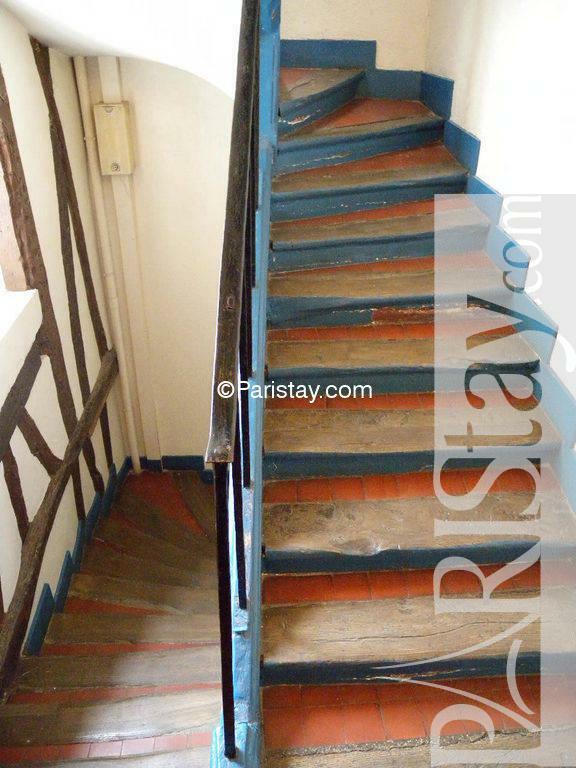 This apartment is located on the 4th floor without a lift. 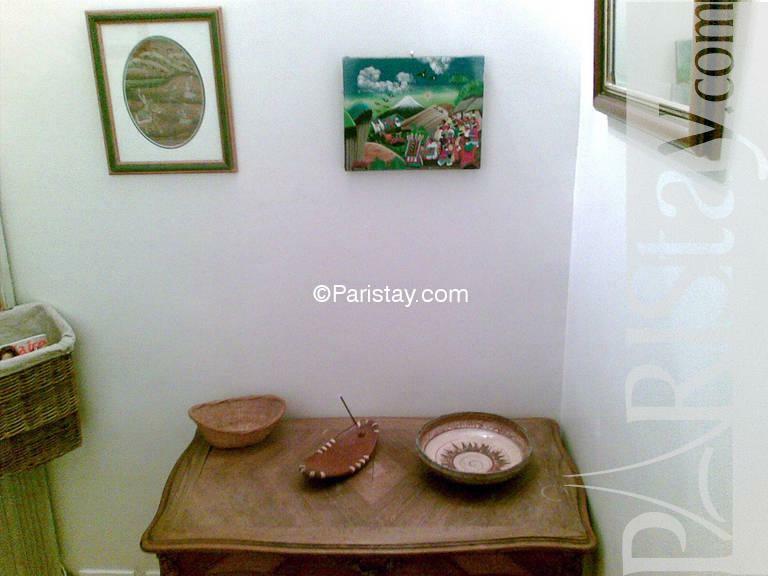 Furnished in a traditional way, it is very cozy and comfortable. 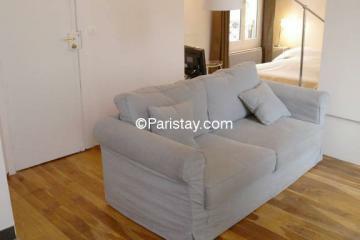 The living-room is equipped with a sleeping sofa, wireless internet access and cable TV. 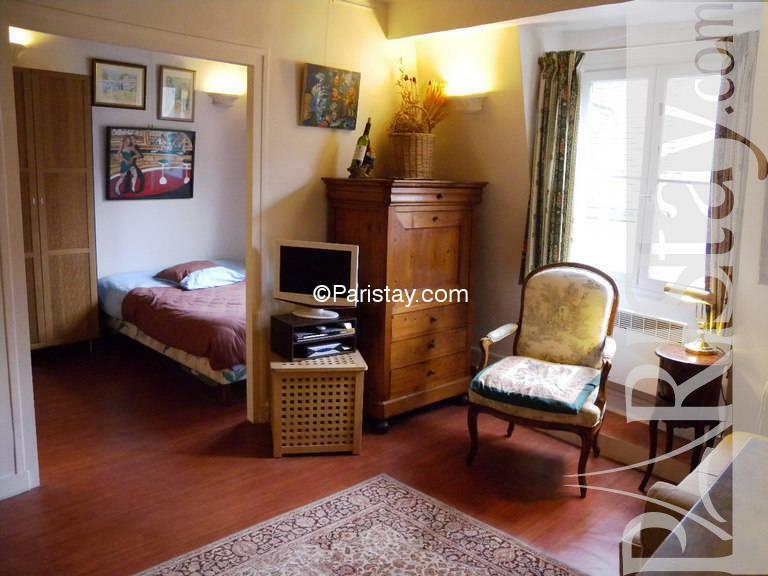 (The bedroom is open to the living room, there's no door between the living room and bedroom).The neighbouhood is very pittoresque. 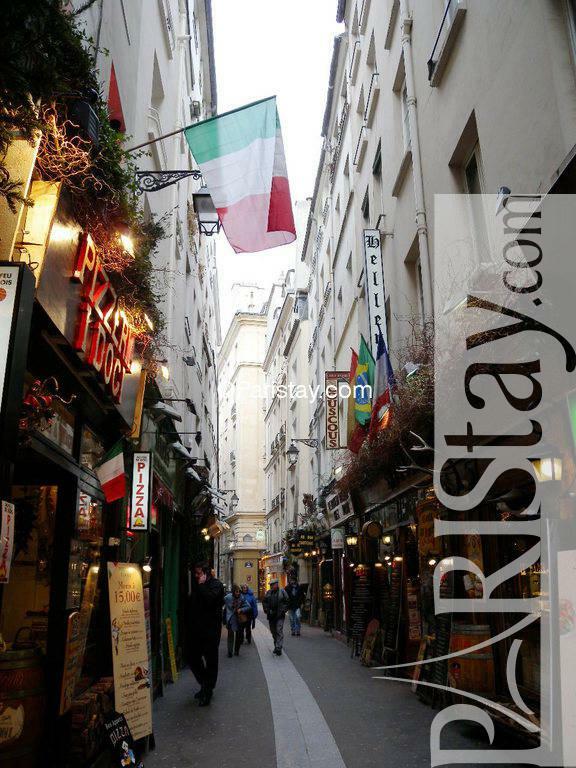 In the same street there are many italians restaurants and right around the corner, there are many shops and restaurants. 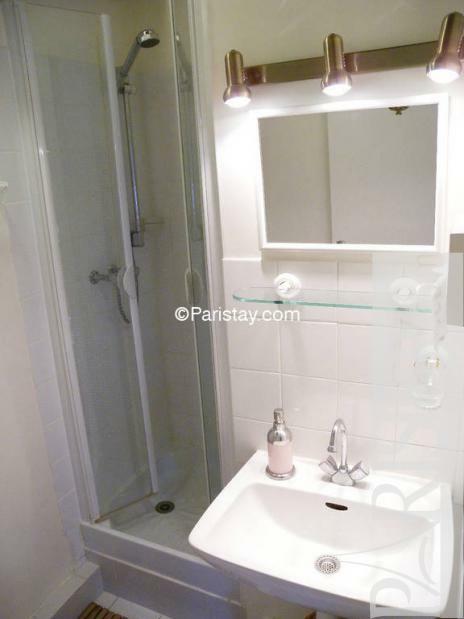 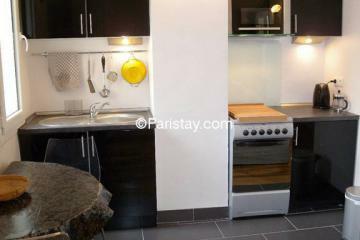 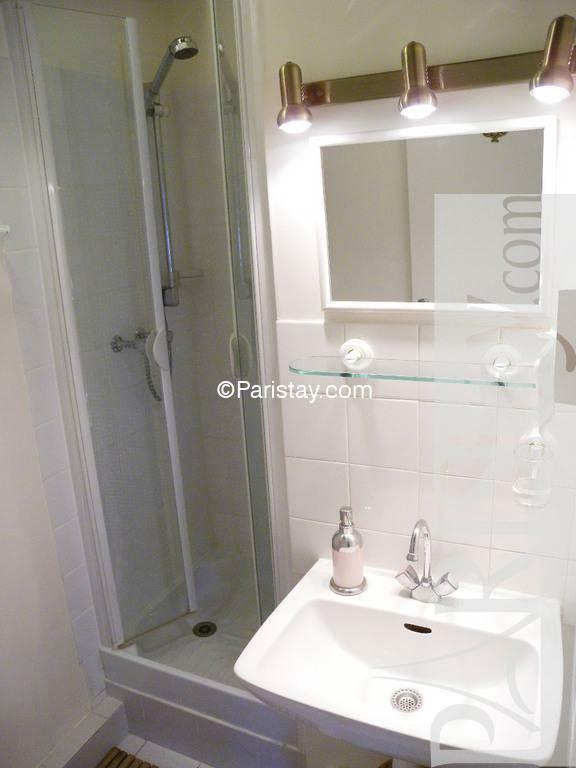 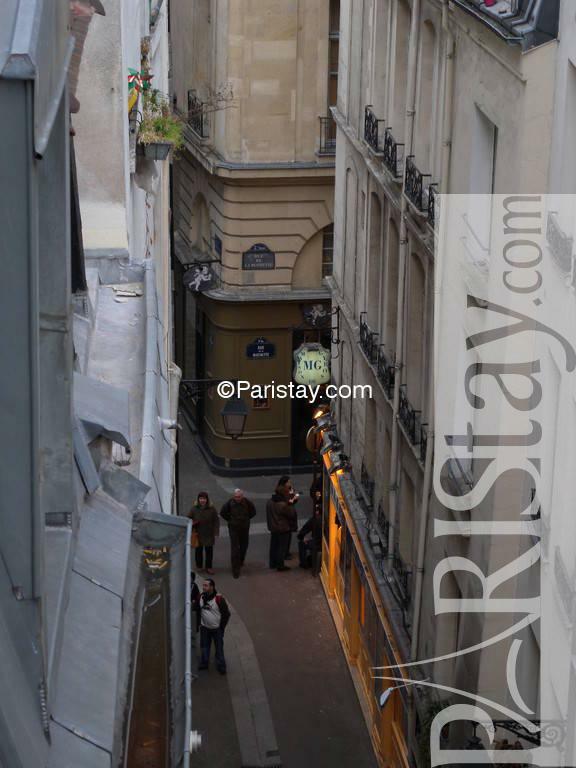 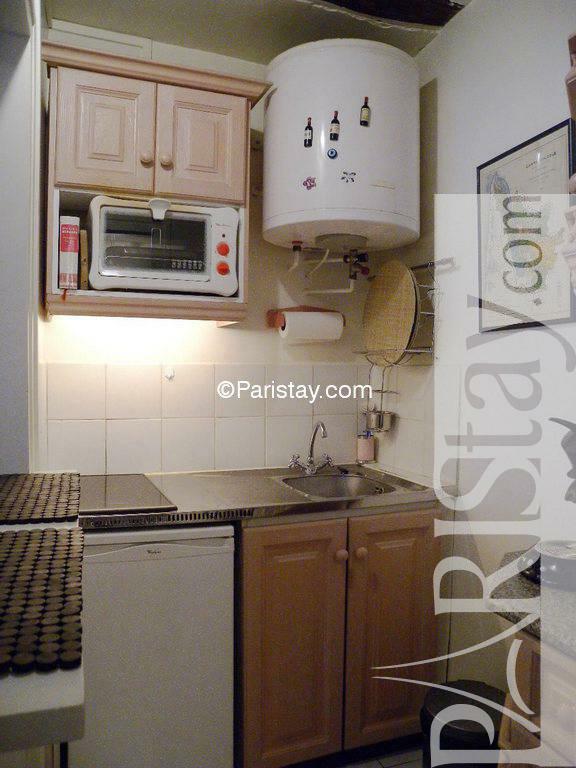 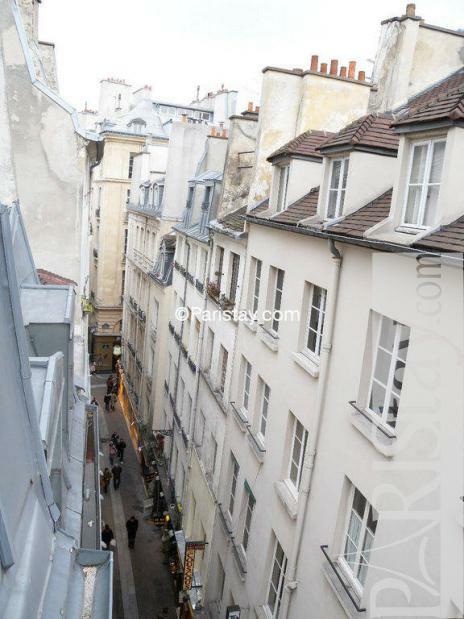 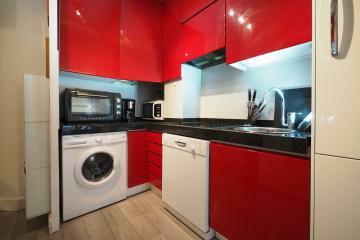 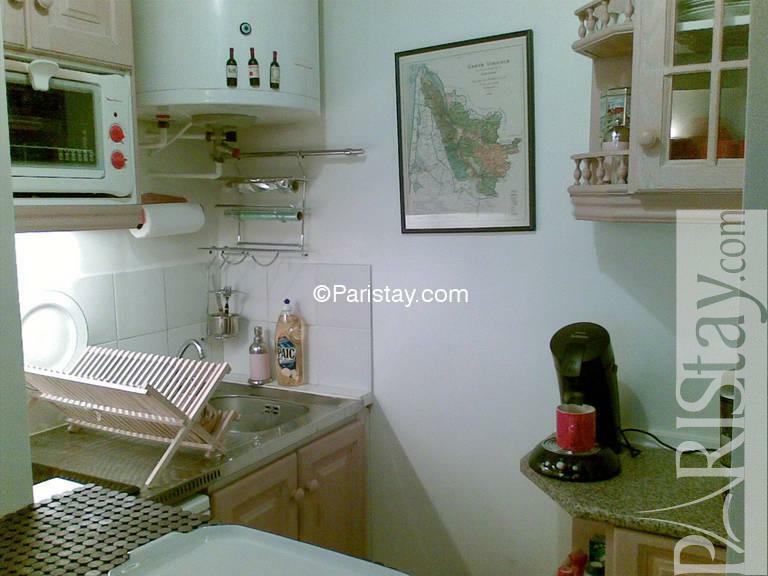 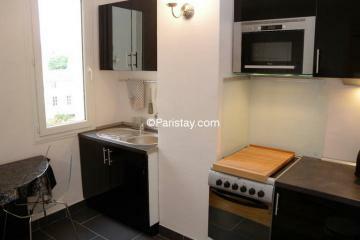 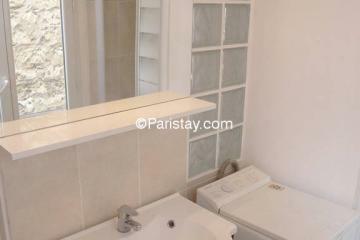 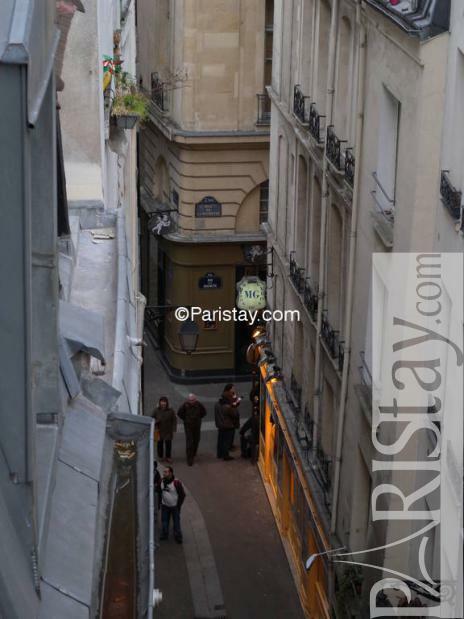 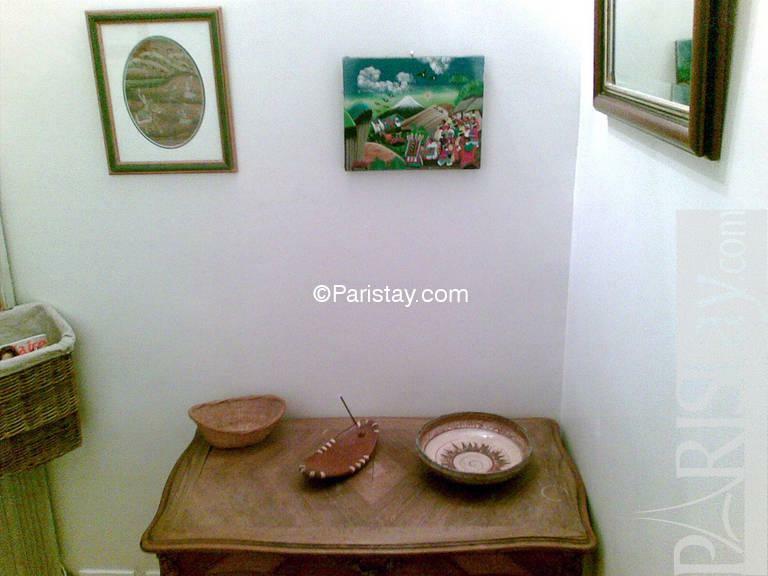 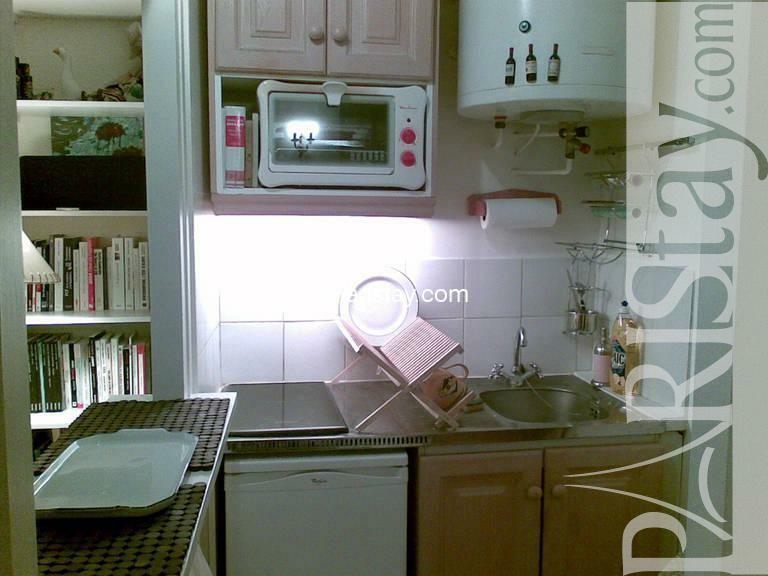 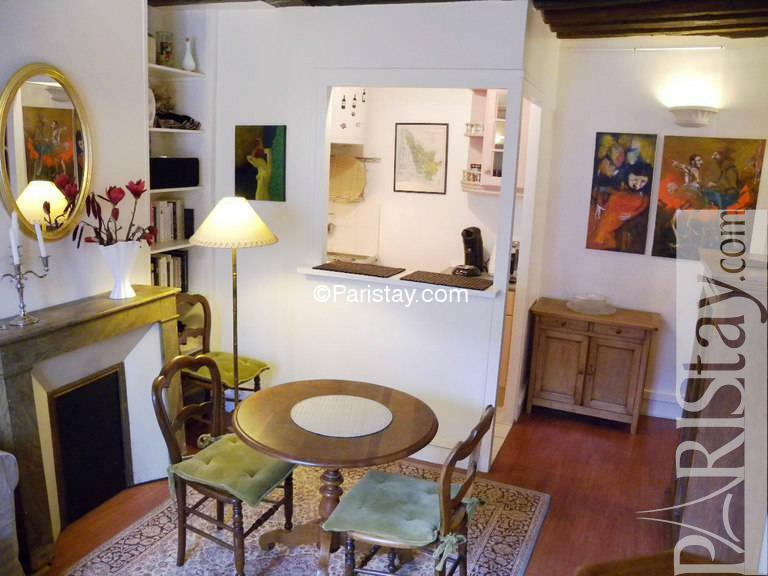 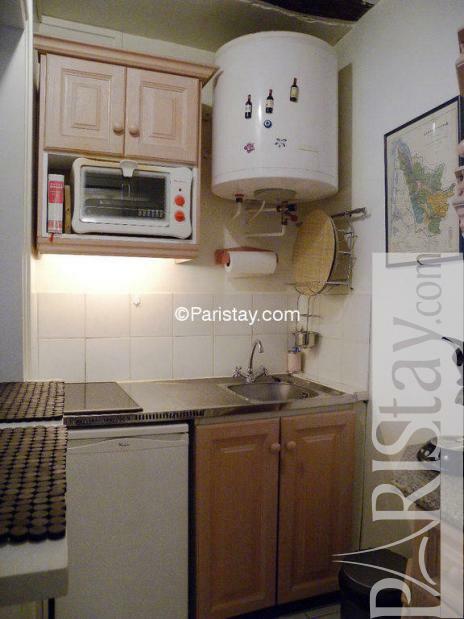 This apartment is a great choice for your long term rental in Paris. 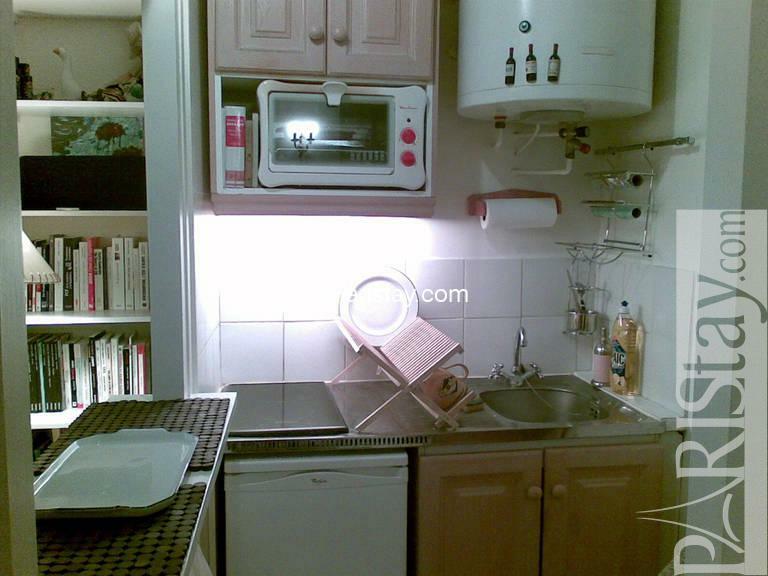 Please note: 3 people accepted only weekly rental. 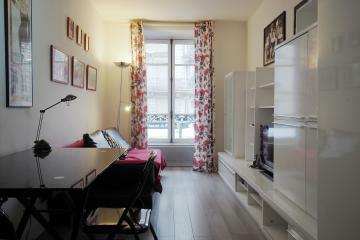 2 people max for monthly rental. 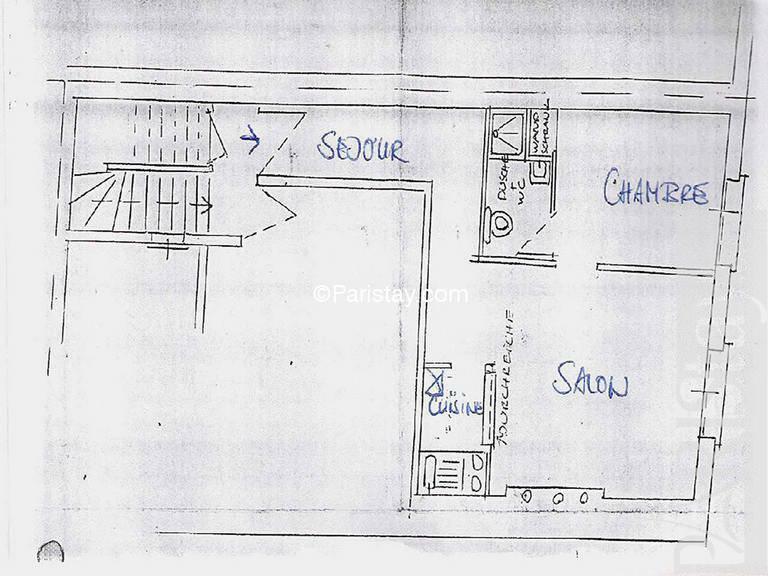 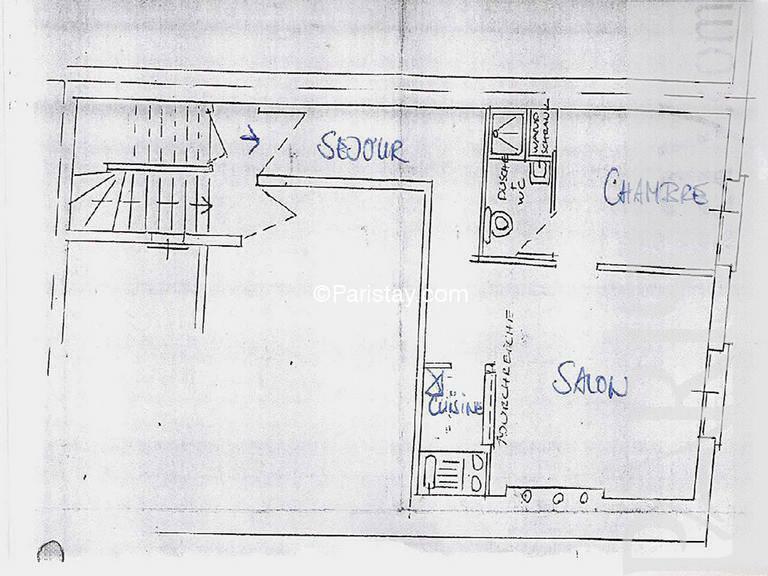 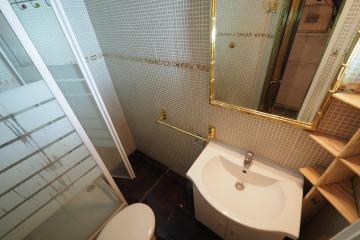 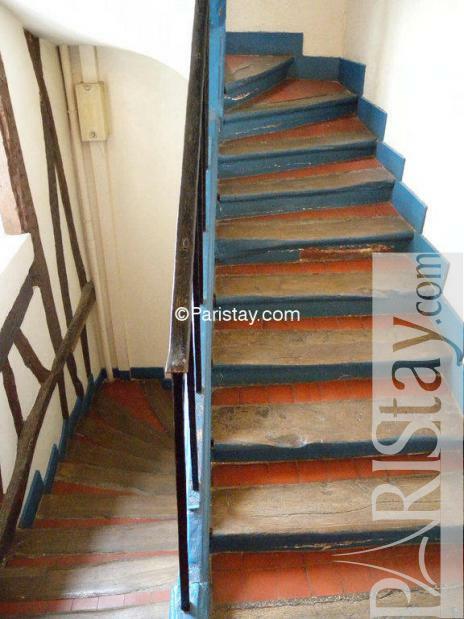 5 rd floor, without Lift, entry code security system, 1 bedroom Appartement, furnished, Approx: 39m² / 419 Sq.Ft.